There’s no better pick-me-up than grabbing a drink and a snack at Starbucks, and now you can do just that while also supporting a great cause. The Salted Potato Chip Crusted Brownie is coming to Starbucks, and it looks next-level — but most importantly, this unique treat helps support veterans. 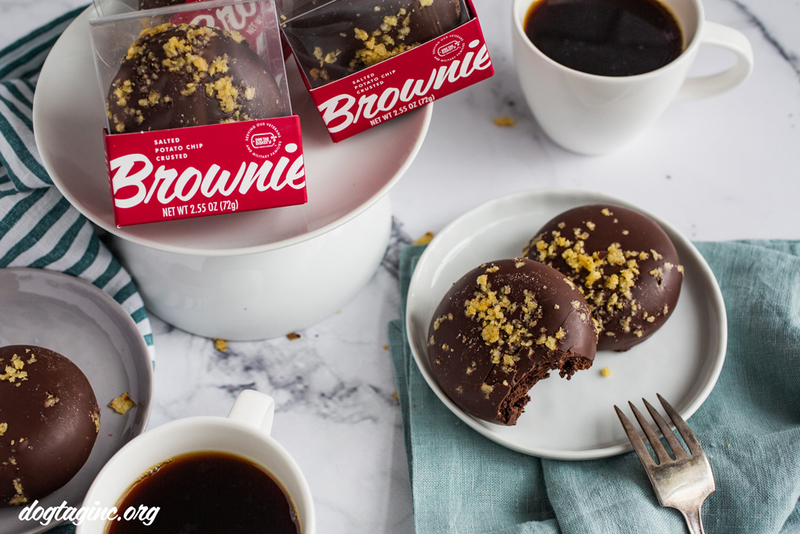 Starting on Tuesday, May 1st, you can grab one of these new brownies, made by Dog Tag Bakery, at more than 8,000 Starbucks locations across the country. All in honor of National Military Appreciation Month. 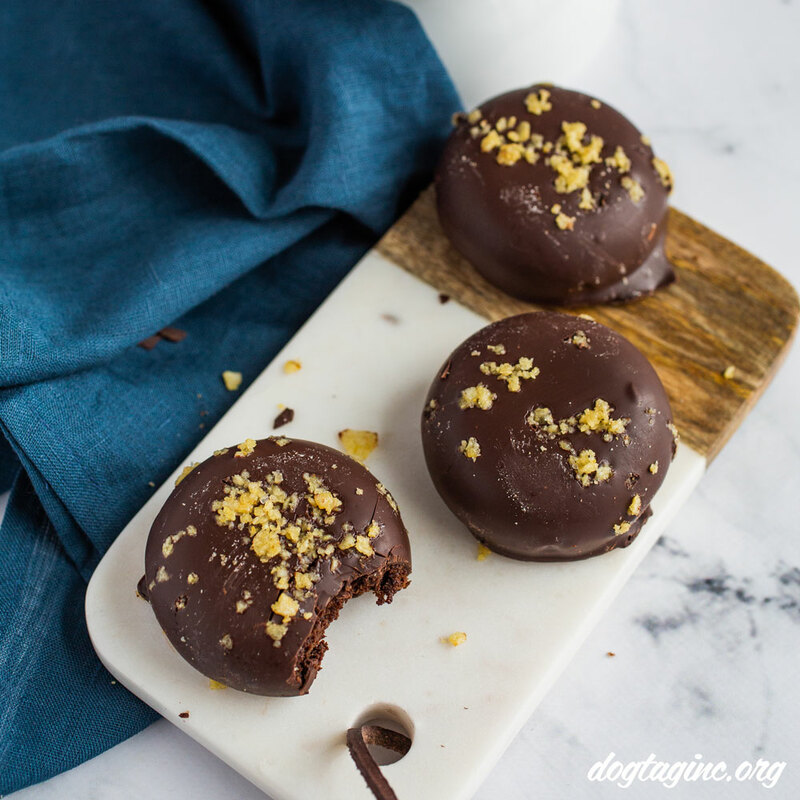 Dog Tag Bakery is an organization that helps disabled veterans (as well as their spouses and caregivers) gain employment and work experience, and aids them in transitioning from military life. To help support the bakery, Starbucks is keeping these brownies in stock all month long, and that’s good news for the rest of us, too, because they look amazing. They might end up becoming your new favorite dessert, tbh. The Salted Potato Chip Crusted Brownie is described as rich and decadent, “dipped in chocolate and gently rolled in a potato chip crumble.” And if that description isn’t enough to hook you in, the pictures ought to do it. Since Starbucks has committed to supporting the military community and veterans, it’s no surprise that they’ve decided to partner with Dog Tag. According to the Starbucks newsroom, they’ve hired more than 15,000 vets and military spouses since 2013, and they’re aiming to bring in even more in the next few years. Starbucks and Dog Tag are a perfect fit, and they’re giving us the chance to eat these brownies. Everybody wins! If this brownie looks as yummy to you as it does to us, you should probably make sure you grab one ASAP. They’re only available until June 4th (or until supplies last), so make sure you give it a taste as soon as you can. Because let’s be serious: we all know we’re going back for seconds.